I just rented hitchhicker's guide to the galaxy, the tv show, Public Enemy's and Eureka season 1 disk one. They have the whole Hitchhicker's Guide show as one dvd, or a case with 2 dvd's in it. I've only watched the first episode, and it was pretty sweet. The way that the guide goes off on certain things to explain in just the same way as in the book, can get a little bothersome. I would say, and if don't get mad at me, but I think I like the arthur from the movie more, possibly the same with Ford. I've only seen a little of Zaphod in the show a while ago, but the Zaphod in the movie, I thought, was really good, so I don't think that the tv show Zaphod could beat him. The Trillian from the show I've seen a little of, and her voice is crazy, so, I definitely would go with movie Trillian. Eureka, I've probably seen around 5 to 8 or so episodes already, and its pretty awesome. I've only seen them in random orders and all though, so, I watched the first episode, and it was totally awesome. Watch Eureka! Awesome shows are Doctor Who, Lost, and Avatar: The Last Airbender. I just watched Avatar... wow, just wow. I liked it a ton. I'm not sure about saying its one of the best movies I've watched. I recommend watching it definitely. The CGI is crazy. The planet Pandorum, is sooooo cool. Its like magic. Theres floating mountains, seriously! I didn't cry or anything, but it was still really good. ........................Is it wrong that I have no intrest of seeing Avatar after hearing all these great reviews and opinions? Switch wrote: ........................Is it wrong that I have no intrest of seeing Avatar after hearing all these great reviews and opinions? Yes it is. Believe me. I thought it looked completely retarted, but everyone was like "it was so amazingly sawesome" so I was like "FINE I'll see about that!" Oh man, heros.... I was into Heros once. I watched the 1st 2 seasons, they were pretty good. The 1st was extremely awesome, and then the 2nd went lower, but was still all right, and then the 3rd was pretty bad. I don't remember why that much though. Just that it was going way to crazy, and characters were getting annoying. OR, I remember, I heard something about hero thinking he was a little kid or something, and I was like "OH DEAR" and stopped watching. I still cant believe people are stressing Disney to change the "Pirate Island" area in Disneyland to a "Lost" area!! I mean, COME ON!! Disneyland is suppoused to be a place for kids! I don't think they'd appreciate if an exploring area based on pirates would get replaced with some TV show area aimed for adults! 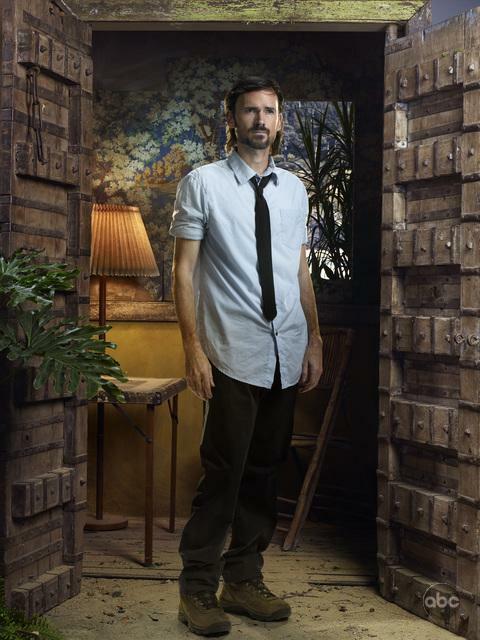 Because Lost is a TV Show, and I mentioned it. Lost. Is. The. Greatest. TV. Show. Ever. But is that an excuse for it's fan to be stressing Disney to replace pirate island with an area based off of it?! Well, come on, look at the Indiana Jones ride, thats not disney, and also isn't entireley aimed for little kids. Kids can enjoy it, I'm a kid, I love indian jones. Although LOST is probably more violent than indiana. I'm not sure if I've been to the pirate island thing though... I've gone to disney land once that I remember, the other time I was a baby. Is pirate island really cool there? Lost would be an enjoyable thing for disney land, I would say. Also, think of this: Indy an a jones. Like, a guy named indy with a jones soda or something. I just thought of this. That sounds like a terrible recipe! Sgt. Beadsmaster wrote: Well, come on, look at the Indiana Jones ride, thats not disney, and also isn't entireley aimed for little kids. Kids can enjoy it, I'm a kid, I love indian jones. Although LOST is probably more violent than indiana. Lost would NOT be good for Disneyland at all! And I went to Pirate island a few days after the end of 09, and it was VERY enjoyable. I had a fun time exploring. I, and probably every other kid in the universe, would hate it if that place got replaced. ESPECIALLY if it got replaced by some TV show aimed for, like, adults! Especially adults who can do the impossible, like understand Kingdom Hearts without help! 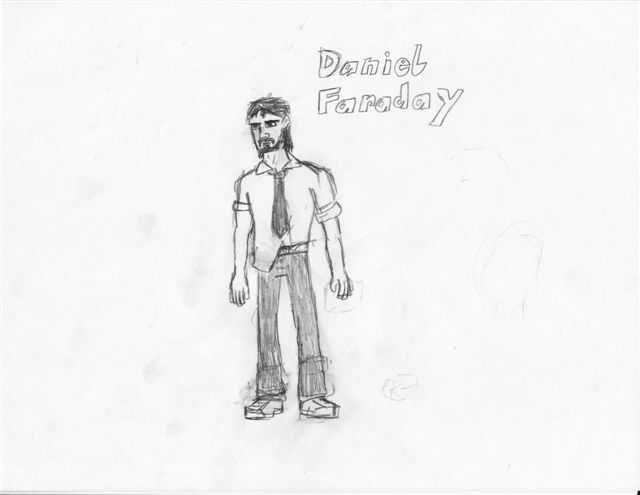 Check out this picture of Daniel Faraday, a character from LOST, I drew a few days ago. Whatever. I watched some more Buffy last night. Pretty awesome. There was this episode with a robot though... I was bothered. It wasn't a demon robot, like the last one... which was weird, but that robot looked cool. This episode was all right, but the robot thing... The robot's last word's were something like... "Would you like more Chili" or something... I can't remember. I ADORE the picture, it means the same thing. Do these Espoints have any commercial value or are they just crap? Maybe you can get one of those end of the year trophy things if you get enough of them. Right now, I'm about to watch the 1st part of the 2 part season finally of season 2 of Buffy. The last episode SUCKED. It was pretty funny also though. The swim coach at the high school was making his team use these drugs that would improve their swimming, but the drugs had fish DNA, I think. I don't think it said how the coach even got hold of these drugs. But the drugs were turning the team into fish monsters and the coach even knew... Like, there was Buffy and him, and it went something like this: "Why are you even doing this?" "for the winning, I want my kids to be the best there is"
"you're insane" And then he pulled a gun on her and made her go into this hole to where all the fish monsters were. Then she was like "Oh no, you can't just feed me to them!" "No no... they already had their food (Which was a nurse that knew what was going on... so he had to feed her...)"
And so basically for some reason he wanted them to mate with her. And she was like "Oh great... I'm gonna do it with the intire swim team... Just what I need for my image." Mr. Diskette saw it a while ago. So I've started watching Flashfoward. Okay, so it's these two guys. 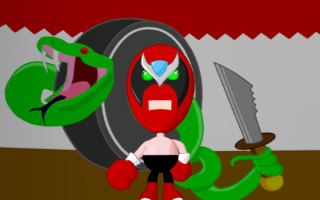 They both get kidnapped by these guys, where they are interrogated as to what exactly happened durring the expirement. It has a classic quote in there from the interogaters. "I smoke, and we all know that the villan smokes. Guess what, I'm the villan." This rouge FBI agent, who in his flashfoward saw him investigating the blackouts, Goes to a phsyciatrist to discuss his blackout. The phsychiatris gives him this drug to help him remember his vision. (To qouet the show: ""Why can't you remember it?" "BECAUSE I WAS HAMMERED!"") And he sees that he was talking to one of the guys who created it. (Who, apparently will steal his wife) He uses stuff from the call to find the two guys. One of them (not the one from the call) goes to Toronto, where it is revealed his uncle is the "villian." It also shows, that he was awake during the blackout. He was told to "Fake a story a stick with it." After killing this guy for killing his father, he uses that as a story. Here in the present, he kills his unlce who had killed his best friend. There's way more. Maybe you should just watch the show. "Everyday, God gives us something else to make us happy"
"Hunting accident, eh? Shotguns can be so unpredictable?" "How do you know you were being drowned? Maybe you were being baptized! Water accidentaly goes up your nose, you panic, I've seen it happen before." "I need you to get change all in pennies." I just finished the season finally of season 2 of buffy!!! I LOVE BUFFY THE VAMPIRE SLAYER!!!!!!! The first season is nothing compared to the 2nd though. So Lost today was grood. Apparently, the Island is what keeps hell where it belongs, and John Locke is the devil. This smashes my thoughts that the man in black might be good, and everyone assumed he wasnt because he wore black and was the smoke monster. Sgt. Beadsmaster wrote: I just finished the season finally of season 2 of buffy!!! I LOVE BUFFY THE VAMPIRE SLAYER!!!!!!! I find that show offensive. It's like Taylor Swift watching a Kanye Video! It's just wrong! MMM wrote: So Lost today was grood. Lost. Never failing to not make sense.